The sentencing for the Antolin Garcia-Torres, the convicted killer of missing Morgan Hill girl Sierra LaMar, has been postponed as defense attorneys for Garcia-Torres have filed a motion to remove Judge Vanessa Zecher from the case, according to Santa Clara Superior Court spokesperson Benjamin Rada and a motion filed in court Thursday. According to the 170.3 motion filed Thursday by Al Lopez, Garcia-Torres' attorney from the Santa Clara County Public Defender's Office, Zecher never disclosed that she represented Santa Clara County Sheriff's Office Sgt. Herman Leon, the county and other officers as deputy county counsel in a civil lawsuit in the past. The complaint said that the civil suit alleged Leon played a role in the death of Jeffrey Leonti, a mentally ill inmate, when he worked at the main jail as a guard. The date of the civil lawsuit - filed by the Leonti family - the date of Leonti's death and when Leon worked at the jail wasn't mentioned in the complaint. The complaint says the defense only became aware of Leon's and Zecher's previous client-counsel relationship on Wednesday when the defense counsel was reviewing the lawsuit filed by the Leonti family. 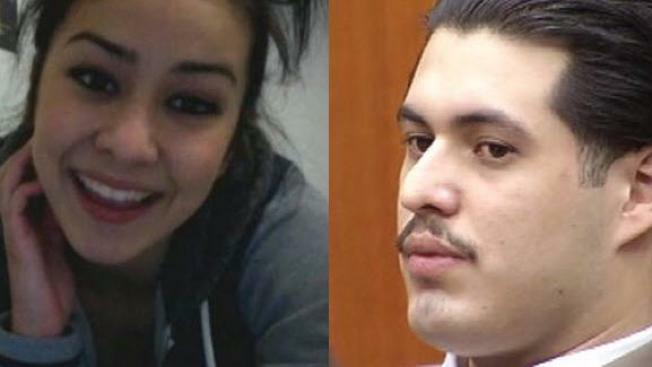 Leon was the "lead investigator designated investigator for the people" for the Sierra LaMar murder investigation, according to the complaint. The motion says that Zecher never disclosed the representation of Leonti before the case, and had the disclosure been made, the defense would have requested that Zecher disqualify herself from the case. The motion says Zecher was "required to develop a duty of loyalty to him and his interest, including protecting him from allegations of misconduct in the killing of Jeffrey Leonti." Lopez says in the complaint that he has reviewed some of the facts in the Leonti lawsuit "but needs more time to review the entire file including the criminal grand jury transcripts which I do not yet possess." The sentencing was scheduled for Friday but pushed back after the 170.3 complaint was filed Thursday. Rada said a decision on the 170.3 complaint will be made during arguments all day Sept. 28 and in the morning of Sept. 29 in the morning. This isn't the only controversy surrounding Leon in the case. During the sentencing phase of the trial, Garcia-Torres' attorneys chose not to inform the jury that Leon was found to have given false testimony in a separate murder trial because of a possible future trial. In the other murder case, Judge Sharon Chatman granted a re-trial for 26-year-old David Pilipina and 29-year-old Eddie Rivera in May 2017 after they were convicted in 2016 of the stabbing murder of Kristina Harris-Perkins and the attempted murders of two others at a light rail station. In the 2009 murder trial that was tried in 2015, Leon testified that since he became a detective in 2007 to the date of the trial, 30-40 percent of stabbing defendants in cases investigated by the Santa Clara County Sheriff's Office had worn gloves. However, a 104-case review of other stabbing cases in the district attorney's office database showed that Pilipina's and Rivera's case was one of only two where the defendant wore gloves, according to Chatman's ruling. Prosecutors tried to argue that district attorney's records formed a limited sample since they didn't include unsolved cases that Leon maybe have worked on, but declined to supplement the report with other examples. Zecher allowed the defense in May 2017 to give evidence of impeachment of Leon in regards to the 2015 case, but they declined to call him to the stand.